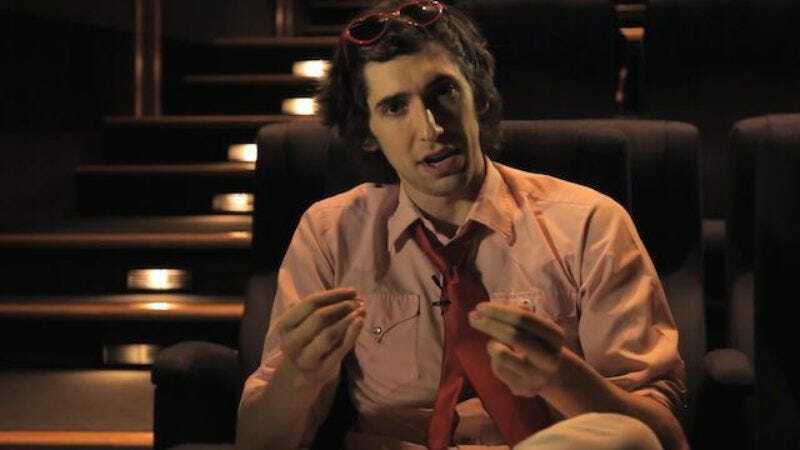 Max Landis is a busy fellow. When he’s not making videos of strangers slapping each other, retelling the death of Superman or the rise of Triple H in professional wrestling, or recreating a scene from his father John’s An American Werewolf In London, he’s also a filmmaker whose most famous credit remains Chronicle. But before all of those various projects, he was (and ostensibly still is) a big film nerd who wrote treatments for possible films, like Super Mario World. Landis recently released another treatment he wrote a while back for Ghostbusters III. The treatment is over 4,700 words long and attempts to pull together the various plot threads of the first two movies, leaning heavily on the Gozer mythology of the first one. It also gives an origin for Slimer, for anyone who was interested in such a thing. But it replaces most of the original team with new faces—although each original ‘Buster has a role to play within the story—and also finds the Ghostbusters’ brand in dire straits after attempting to franchise until the number of ghosts dwindled to none. The U.S. military is involved, there’s an ecoterrorist group that wants to free ghosts from the containment units, and Egon has ascended to a higher plain of existence. Landis admits that he was never commissioned for this work and thus it shouldn’t be thought of as anything more than fan fiction—his opportunity to work in the sandbox of a franchise he clearly loves. It’s an interesting take that seems to create a whole new world and situation for the Ghostbusters in a more sensical manner than Ghostbusters II did (why was an acclaimed cellist working in art restoration?). It’s worth reading just to see how someone else would’ve approached revamping the franchise before Paul Feig and the Russo Brothers jumped on board for the new films. The treatment, in its lengthy entirety, can be found on Landis’ website.